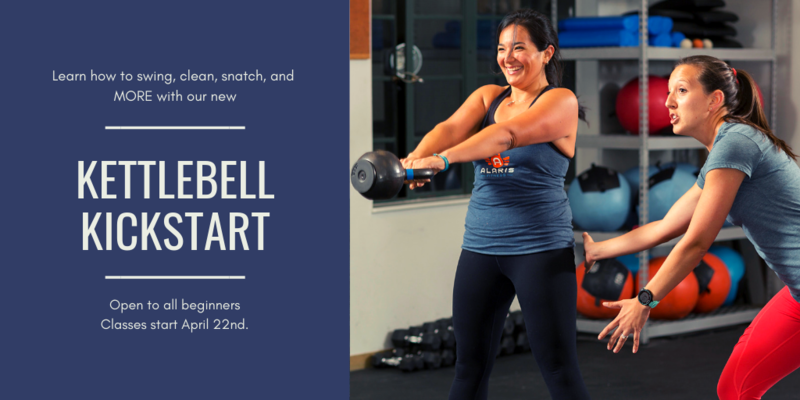 Kettlebell Kickstart group classes are designed to help you learn everything you’ll need to know to jump into any Alaris class with full confidence. As you work through the specialized sessions you and your team will learn correct form and modifications for movements we use most, using Bodyweight, Dumbbells, Kettlebells, Barbells, and everything in between. The small group setting will allow you to begin where you are right now and safely increase your intensity over several weeks. To sign up, drop us a line. Remember, this is limited to 8 people only, but we will have future Kickstart Programs if you happen to miss this one.